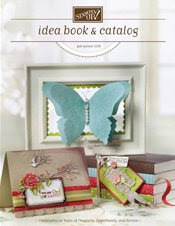 I can't get on my Stampin Inspirations blog site. I tested to see if other bloggers are having the same problem and there seem to be problems getting on some sites but not others. Hmmmmm. . .I wonder what's wrong. Anybody having the same problem? Can you let me know! Thanks!! I had trouble too using IE 6. But I got in using Firefox just fine. (I also had this problem with another message board tonight). I can see yours, but mine is blocked right now too! I received an email saying it was identified as a potential spamming blog. This happened because they started using a computer algorithm program to catch spamming. I reuqested a review and hope to have it unlocked in the next couple of days. Don't ignore the email, if you get one, becuase if you don't request a review, they will delete it in 20 days!